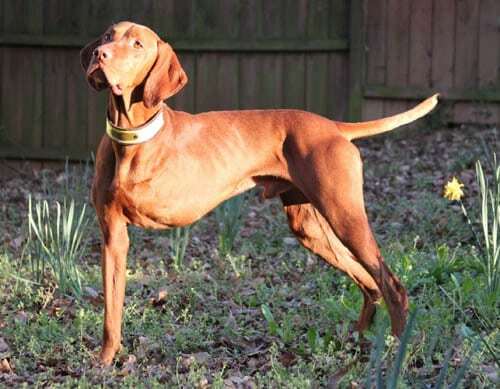 Tripawds » Three legged amputee dogs give hope and courage to human parents. What Does the Tripawd Journey Mean to You? When people first learn that amputation is their dog’s only option for a good quality of life, many folks can only think of the negatives associated with limb loss, such as decreased stamina and an unusual appearance. But once many people see that life on three legs can be great, suddenly those negatives get pushed aside and the pack is quickly on the way to their own unique three legged journey. Whether your pup lost a leg because of an accident, cancer or birth defect, one of the best parts about connecting with other Tripawd pawrents here is to get some perspective on the three-legged journey before you actually set food on that path. “What gave each of you tripawd pawrents strength and courage to go on this journey? We also want hear from you, the Tripawds community. Please, tell us how you found the courage to proceed with amputation despite all of the misconceptions associated with a “handicapped” pet. Please share a comment below or send us your story with one photo and we’ll share it so future Tripawd pawrents will find inspiration and hope in your words. Thanks for taking the time to write! This series of Tripawds News blog posts will be tagged Tripawd Journey. Oh Micky, I truly believe that Roxy “finding” you wasn’t an accident, you were meant to be together. Bless you for taking her in for good, she so deserves a loving home. We have TONS of tips about life on three legs both because of amputation and birth defects. Visit our “Beyond Cancer” Forum Discussion and post there so we can better help you with links like “Jerry’s Required Reading List” OK? We can’t wait to learn more about your journey together. See you there! We are facing amp surgery in 4 days for our 8 yr old Doberman, Nitro. I’m terrified for the recovery, but praying for strength and courage. I know it is the best option for him. It’s just so hard when others respond with horror and disbelief that you could actually “put your dog through that”. Here’s hoping I can ignore hype ignorant and embrace a new life with him. Welcome Paula, and best wishes for Nitro. Our best advice is to Be More Dog. I found your blog today while searching for ways to help my tripawd mixed breed Merry and felt compelled to tell her story. We found Merry on Christmas morning, along with her brother, wandering in a friend’s front yard. They were young, stray pups who had been picked up on the side of the road by a kind neighbor. They smelled of gasoline and Merry had a long scar on her side. She was four legged at the time and we decided to take her home and foster her since we already had two dogs. After a very lame (no pun intended) attempt to find her a home we decided to keep her since we had fallen in love. She had an idyllic life on a farm with our two dogs and six others that also lived there. She was the happiest, sweetest dog you could ever meet. The following September my husband and I went out of town for the day and left her on the farm. There were three households and we all looked out for each other’s animals and felt confident they would all be fine. She went down to Grandpa and Nanna’s house for the day but when they left for some errands she and their dogs followed them to the road. Their dogs knew to go right back to the house but she didn’t, and unbeknownst to Grandpa and Nanna she was hit by a car. They ran over her front paw and her nerve was severed. Piecing the story together later we determined she had been hit around noon and we arrived home around midnight. When we got home we found her unable to walk on her front leg, she had a punctured lung and was in shock. It was quite traumatic for all of us. To make a long story a little shorter, we decided some time later after holding out hope that the nerve would heal (VERY unlikely) to have her leg amputated. It broke my heart and I couldn’t tell this story for five years after without crying. We had some complications after the surgery but she ended up healing well and adapting very well to life on three legs. She is a huntress at heart having been a stray and we have witnessed her catch a squirrel in midair on those three legs. We were so proud! It really didn’t slow her down for many years. She is now 13 years old and is having a lot of difficulty walking. She is in pain even on medication. She loves to be outside though and especially likes to stay outside when it rains. We will have to make the heart breaking decision to put her down one day because she won’t be able to walk. She is very healthy and it’s very tough to watch her endure life with this level of difficulty. She’s a strong, resilient girl though and I am thankful to have found her. She’s the best Christmas present I ever received. Jen, thanks so much for sharing Merry’s story. What a lucky girl she is to have such pawesome pawrents like you. She really sounds like a neat dog! Have you tried acupuncture to help her with the pain? Many senior dogs have seen a LOT of improvement with it. We have lots of info throughout Tripawds about senior dogs and acupuncture, so look around and don’t be a stranger. We’re so glad you stopped by. Charley, our chocolate lab, was only 2 years old when he was diagnosed with Osteosarcoma (bone cancer) in his front leg. Along with the diagnosis, we were given very grim statistics and an extremely poor prognosis…basically a terminal outcome. Charley’s left front leg was amputated on 10-28-10 followed by 5 rounds of Carboplatin chemotherapy, which he tolerated without any side effects. We now continue his cancer treatment by incorporating a two-fold approach, strengthening his immune system (low dose antioxidents, mushrooms, probiotics, fish oil, sea vegetation, etc.) and killing any remaining cancer cells (artemisinin/Artemix, curcumin/turmeric). Charley can do everything on 3 legs that he did on 4 — he plays, jumps, counter-surfs and runs like the wind! Most people don’t realize that he’s missing a leg until he slows down enough for them to see! Charley celebrated his 4th birthday on 3-29-12 and he will celebrate his 21-Month Ampuversary on 7-28-12. Charley continues to defy the odds by living with cancer and he teaches us everyday to live in the moment. Charley is a cancer survivor and our Tripawd warrior. He is, and will always be, our hero! Stories like Charley’s are what gives hope to so many people during their darkest hour. Thank you for the inspawration and love, Charley truly is a miracle pup! What great stories Tripawd Humans have to share – thanks for taking the time to do so. I was curious about this because I only have my own experience to look at and know that we are all so different that there must be other perspectives on this journey as well. Some are no-nonsense-getter-done types, while others (like myself) look for the lesson the universe is sending us. For me, I have always had very rich experiences with my animals and Bart was no different. When Bart was diagnosed I was given a “sign” early on that this was going to be a journey about LOVE, pure and simple – Love of Bart, Love of Friends, Love of Life. With that as my guide, I figured Bart & I would get through this no matter what the outcome and make certain we enjoyed every step of the way, accepting as many opportunities as we could. Sitting on my couch four years ago I would have never in my wildest dreams imagined the adventures Bart & I would have gone through together and I would not trade any of them for anything! We have met proud members of the Wounded Warriors from Ft. Campbell, KY, and are looking forward to participating in a hunt in March 2013 with Aiming For A Cure which is a non-profit in Iowa formed to raise money to find a cure for chidhood cancers. Here’s to all the Tripawds and their Amazing Pawrents!! When you’re just beginning through this journey, it’s often hard to believe that anything good can result from it. But once you truly experience the resiliency of animals, you understand what’s really important in life. Living a full life isn’t about dwelling on the “what ifs” or the adversity you encounter, it’s about making the most of a situation and enjoying all of the blessings that are right there, right now. This is one of the greatest lessons animals, especially dogs, can teach humans. Bart is an amazing teacher, and you are too! We look forward to hearing more about your adventures. My Boxer, Bubba, is 3 weeks post amputation of the front left leg for a recurrent soft tissue sarcoma. He has had 4 surgeries over the past year to try and control the growth of the tumor. He remained free of disease until last winter. The tumor began to grow again, rapidly. After his surgery in December 2011, he had complications with the incision healing and developed an antibiotic resistant infection in the leg. What a mess! Before the incision healed, the tumor was already growing back. We spent several months researching probable treatments for his tumor: virus therapy, radiation therapy, clinical trials and amputation. The only option that would completely cure Bubba of this pest was amputation. It was a difficult decision to cope with. Bubba is 10 years old and quite overweight (110 lbs). We had concerns about his age and overall ability to adapt to life on 3 legs. The alternative was to do nothing and watch the tumor and infection destroy his leg until it cut his life short. It seemed unfair to let a healthy and happy dog succumb to a problem isolated in one leg. Like Nicole and Chloe, we knew this was the only option that offered a cure from the cancer . Whenever I see him struggle or have doubts about the choice we made for amputation, I remember that we didn’t take his life….we took his leg that was invaded by disease. We use a lot of humor to cope in this house! When Bubba is looking silly or sitting in an awkward position, I ask him “where’s your leg?” He’ll tilt his head sideways as if to say “what do you mean?” Then, I tell him that his stinky, bad leg is all gone and he is a handsome boy! I find that this helps “simplify” matters for my kids, who are 8, 5, and 3. I think it’s important for them to understand that, although he may have struggles, this choice is to help him, to cure him. Thank-you so much for this site. It has been a tremendous resource in helping our family prepare for the amputation and cope through recovery. I can’t say enough about the help provided by the people on this site! Bubba has his own site here: boxerbubba.tripawds.com and I am hoping to create a page that outlines the equipment and specifics that helped me bring my new Tripawd Bubba home. Thank-you again for this wonderful resource! I use lots of humor as well. Sometimes when strangers ask about Chloe’s leg, I turn to Chloe and say “Did you lose your leg again?” or “I knew you did something different with your look, but I couldn’t quite put my finger on it”. Although, I do have to read the strangers quickly to see if they are the type of people to ‘get’ that type of lighthearted humor. Otherwise if they don’t, they probably think I am some kind of deranged dog owner (which I may very well be since I don’t think its weird having a three legged, happy/smiling, tail wagging dog). But otherwise we make all kinds of jokes when close friends and family are involved 🙂 I believe it is a sign that life has become ‘normal’ again considering the circumstances that led to the amp to begin with. Humor is definitely one way to cope with this new normal! I like your responses. As for being deranged…..I guess that means we are too, heh heh! Michelle, thanks for taking the time to share Bubba’s story. Bubba is quite an amazing dog for learning to adapt, and you are to be commended as well for taking this leap of faith. It’s so great to hear that you found the help you needed in this community! As for coping with explaining it to children, I know there are lot of folks out there who struggle with this, so feel free to share your experiences in our discussion forum too (“Hopping Around” topic has a lot of talk about explaining it to kids). Thanks again for joining us, we’re so glad you are here and sharing Bubba’s life on three legs. Going out with a bang? Please try to reframe this as an amazing new adventure together with your beautiful boy. He’ll be much happier and healthier once rid of that nasty tumor pain. For plenty of recovery and care tips, be sure to post in the discussion forums and bookmark Jerry’s Required Reading List. For more immediate answers to the most common dog amputation questions consider downloading the Tripawds e-book Three Legs and A Spare. It’s been a little over a month since Bubba’s amp….I know it was the only way to cure his cancer and give him disease free life! Truthfully, I still have some guilt as we are still healing and adjusting. I don’t like to see him fall / struggle. He has always been a physically strong dog and it is hard for me to see him like that. I do think this is harder for humans than for the dogs! He doesn’t seem to mind life on 3 legs at all. I did the same things with Bubba before his amp…I let him sleep in the bed upstairs with us, let him sit in the front seat of my van with half his body hanging out the window, took him to a baseball game (no pets allowed! ), let him lick dinner plates clean (while they were still on the table)..etc, etc. I did these things to prepare myself for the post-amp phase..I knew it would be awhile before we’d be back in the game. I am glad I did that because it helped me keep him still during recovery and kept the thoughts of “I wish we could have done xxxxx before the surgery…” out of my head! I adopted my dog Roxy from a local shelter when she was 2 years old. she came to the shelter with her litter of puppies, after her puppies were weaned she was put up for adoption. Roxy is a pointer mix. when we adopted Roxy she had a lump on her left front leg, when we asked about the lump we were told that she might of had a broken leg and that the lump was scar tissue. okay, we accepted their explanation. after many months this lump continued to grow, so off to the vet to see what the heck this lump could be……ahhhh, bad news.. a spindle cell tumor. the leg would have to be removed….honestly, I was okay with her being a tripawd dog. It was after all a life saving procedure. Roxy’s recovery was difficult for her, she become depressed for about a month after surgery. As time continued to pass, so did her depression. Well, it’s been 10 years since her aputation she’s 13 now. being a tripawd dog has taken a toll on her body, considering that a dog carries most of their weight in the front, her front foot is now splayed and permanetly bent. she is very unsteady, can barely walk anymore and she falls all the time. Her back is also very roachy. I have her on medication for pain, the pain medication gives her relief but it has a down side it makes her even more unstable and her falls increase. she sleeps alot these days. poor Roxy, she’s loosing her vision and hearing and now is wearing diapers. This dog in all the years has never ever pottied in the house.. now she is due to her pain. I’m considering putting her to sleep. it’s such a difficult decision. I don’t want her to be in pain anymore. But i’m also being selfish and don’t want to let her go. when Roxy had her leg amputated and was able to resume her normal acitivities she recieve alot of attention from people, especially little kids and they would ask alot of questions about her. the little ones thought she was a dalmation because of her spots, I would tell them that yes. she was a dalmation, it made them happy they got it right. lol, she’s really a pointer mix with lots of spots. the only time I would be reminded that she was a tripawd is when I was walking her. my arm had to go up and down in unison with her bobbing head. quite a sight. I just wanted to end on a happy note, I have alot of fond memories of my tripawd girl. If I had to do it again and have her leg amputated……in a heart beat. Elaine, thank you for taking the time to share Roxy’s story. We don’t often hear from folks who have had a Tripawd in their life for so long. Roxy has been an amazing example of what is possible, and what the downside is of being a Tripawd through old age. You have been through so much together, I understand completely why it’s so difficult to make the decision to set her spirit free. We have quite a few blog posts about this in the News Blog, see these search results for some tips on knowing when the time is right. Over the years we’ve learned that Tripawds can benefit greatly throughout life from ongoing rehabilitation therapy and balance games, which is what we try to get folks into the habit of doing as soon as their pup loses a leg. For now, maybe you want to consider acupuncture and massage to help her stay comfortable? It really can make a big difference, especially in a senior dog. Thanks for sharing, we’re glad you stopped by. Good luck with Roxy and remember we are here for you if you want a place to turn to. I’m not a vet, but based on what we’ve seen with members here, it’s not being a tripawd that can shorten a lifespan but often the conditions that accompany the loss of the leg (i.e., bone cancer). All dogs are so different. Those without cancer tend to live out their average life span even on three legs. As for physical difficulties, you can check our CARE videos for details and also see our Size and Age Matters Forums for stories from others. We also have an amputation and cancer care survey in our Downloads blog that can help shed more light on this information. After graduating from college, I was looking forward to living with my dog again during the summer at home. Those first two weeks were wonderful, long walks, runs, playing fetch, but it all changed on that June day at our city dog park. I noticed her two back legs didn’t match in shape. Her left leg had a noticeable bump the size of a flattened tennis ball protruding from her “calf”. I immediately had a sinking feeling in my stomach and knew something was wrong…but not how very serious it actually was. It was cancer. The rest of her diagnostic tests revealed she was in near perfect health otherwise. A “healthy” 9 yr old dog with a cancerous tumor…the irony was almost too much to bear. What type of cancer you ask? A rare type known as spindle cell sarcoma. Basically it is a soft tissue sarcoma that affects the layer under the skin called the mesoderm including connective tissues and smooth muscle. After more research, I found it is pretty much impossible to remove the tumor from the leg since there needs to be a “clean margin” of non cancerous tissue around the excised tumor. Being on her back left bony “calf” I thought excision was probably not an option. The vet confirmed my suspicion and outlined the different options Chloe would have: radiation, chemo and/or amputation. After he so thoughtfully explained in full what the pros and cons were for each I simply asked, “So basically the cancer could spread with radiation or chemo?”. The answer: Yes. Then I inquired about the cost, “So in the long run is amputation cheaper and a better option?”. Another yes followed by an explanation that while chemo or radiaiton would help to preserve the leg, it would not a guarantee that the cancer would ever “go away” since this type of cancer does not respond well to those options. But that with amputation, it just might cure it (best case scenario of not having spread beyond the tumor). I started to contemplate what would be best for Chloe. We had a dog Bonnie who over a decade ago was diagnosed with lymphosarcoma (cancer of the lymphnodes) and my mom went all out to fight it, lots of chemo. In the end, even after months in remission, the cancer had spread to her lungs and she had to put her down. Not only that, but the treatment was pricey and Bonnie lost the “life” normally so visible in her face… I didn’t want to put Chloe through that especially if there was even the smallest chance amputation might “cure” her cancer. I felt it would be better to have a healthy 3 legged dog than a terminally ill 4 legged dog. The vet did caution me that owners get emotional over the loss of their pet’s limb, but in all honesty I did not feel there was another adequate option to completely “remove” her type of cancer. For me it was a no brainer, leg gone cancer gone. That became my mantra. Other people also asked about Chloe losing her limb and I joked “Well I am not the one attached to her limb”. For some reason, I didn’t have any doubt about whether or not this was the right decision. Certainly I am not physically attached to her limb as I joked, but looking at the big picture of her future, I wanted her to be healthy, even if it meant only having 3 legs. And guess what? It’s been almost 2 years since her amputation. So in our case, my mantra of “leg gone, cancer gone” proved to be true. I suppose you could say she was disabled for a short time (during recovery), but within a couple weeks she was back to her regular goofy and playful self. And I was there for her every step of the way. Lots of love even through the tough days. Is your dog facing an amputation and/or cancer? Just take it one day at a time and appreciate every precious moment you have. Life is fleeting. Awesome story Nicole, thank you so much for your no-nonsense approach to living life on three legs, I know i will help others who are new to this journey. Chloe is truly an amazing example of what is possible when we put our bases aside and focus on what really matters in this world: making the most of each and every day, without pain, while being with our pack. Thanks for sharing!